This workshop will help you to manage stress and promote general relaxation, well-being, and Self-healing. You will learn the Seva program through demonstration and hands-on practice, and take home six valuable Self-care tools: use of an awareness journal, acupressure, meditation, breath practices, mindfulness, and body-mind movement (Chakra Tai Chi). This class is a pre-requisite for Seva Part 2 below. Wear comfortable clothing. In this workshop you will learn how to use the Seva program with others through review, demonstration, and practicing the Seva program with class participants, seated in chairs and lying fully clothed on massage tables. You will also deepen Self-awareness through meditation, breath practices, journaling, acupressure, and Chakra Tai Chi. Wear comfortable clothing. A friend asked me what I thought were the “top 10″ Self-care practices. His question created valuable insights, but only after I spent some time pondering his request from within. Self-care practices we use can change and evolve throughout the years, change of seasons, time of life, and our stage of awareness, growth, and development. I’m grateful to all the mentors, teachers, and practitioners that have guided me to the Self-care practices that served my highest good, and the highest good of others, on life’s journey. Each of them emphasized that the insights and guidance I sought would be found within, and that these could then be combined with external resources. One teacher even reminded me that the word GURU stood for: g… u… r… u… (gee, you are you)! Pay Attention, Be Here Now: consider meditation and mindfulness practices and spending time in nature with your human nature. Hydrate: our body and mind require water for all cellular activities and functioning; drink at least 64 ounces of water daily. Practice balanced nutrition and moderation, and eat according to the seasons; if possible consume foods and honey grown locally. Participate in some form of movement and/or exercise daily for flexibility, balance, strengthening, vitality and to support immune and nervous system function — and in the outdoors whenever possible. Receive body-mind hands-on therapies (i.e. energy medicine, craniosacral therapy, acupressure, massage, etc.) and participate in counseling with experienced practitioners to reconnect with the guidance and wisdom within your heart and authentic Self. Establish social connections, giving and receiving in ways that open, nourish, and strengthen your heart and the hearts of others. Give and receive love, laughter, and joy daily, over and over again. Practice gratitude and observe what is good, true, and beautiful in life every day. And by the way…..I am still learning and practicing as I don’t have this “down pat” yet on my human journey. What are your top 10 Self-care practices? Please share them so we can all benefit from your insights. Summer makes me smile! Mother Nature showers us with her abundance — bouquets of flowers with a kaleidoscope of vibrant hues; hot days and cool nights filled with star-studded skies; morning bird calls to awaken us; mouth-watering summer fruits; abundant fresh vegetables and herbs from the garden; morning dew, summer showers, ocean waves, and sprinklers. How fortunate we are to be living amidst nature’s bounty. Time in nature provides opportunities to connect with our human nature and our hearts, so beneficial to health and well-being. This summer you can learn to empower yourself and maximize your well-being in as little as 15-20 minutes a day, using a simple acupressure program for Self-care. You can also learn to use this program with others. Come join us at Wellness Rocks, Clinton, New Jersey, this Saturday, June 1, and learn the 15 point Seva Acupressure for Self-Care program. Seva, a Sanskrit word, means compassionate, selfless service. This workshop will teach you how to manage stress and will promote general relaxation, well-being, and Self-healing. You will learn through demonstration and hands-on practice, and take home SIX valuable and practical Self-care tools: acupressure, meditation, breath practices, mindfulness, journaling, and body-mind movement (Chakra Tai Chi). Registration begins at 8:30 AM. Class begins promptly and runs 9 AM - 12 Noon. Payment can be made by cash, check, or credit card. Wear comfortable clothing. Light snacks provided. Saturday, June 1: 9AM – 12 Noon. To increase Self-awareness we need to ask: Who am I? What do I want and/or need? Where am I going? What are the unique gifts and talents I possess, my “original medicine,” which will nourish and support well-being for myself, my family, and others? Many options are available for physical, mental, emotional, and spiritual Self-care practices. Self-awareness will promote discernment regarding which practice(s) serve us at specific times, along with when, where, why, and how to use these tools to promote healing, resilience, and transformation. Physical Self-care practices may include: walking, dancing, yoga, tai chi, qigong, exercise, movement, nutrition, bodywork, spending time in nature, and getting sufficient sleep and rest. Mental Self-care practices may include: learning to manage stress; discovering work, vocations, and callings that promote self-esteem and well-being for ourselves, others, and our world; balancing and promoting financial well-being. Emotional Self-care practices may include: relationships and social connections; laughter and play; developing listening and communication skills. 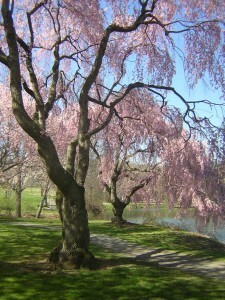 Spiritual or life force Self-care practices may include: reconnecting with our hearts and why we are here — our life meaning and purpose; experiencing gratitude, joy, beauty, and creativity; giving and receiving love; partaking in spiritual connections that ground, align, and support us as bridges between heaven and earth that is described in Chinese medicine. There are many other Self-care practices that could be added: music, art, gardening, pets, crafts, hobbies, sports, etc. Add your own flair and preferences to whatever you choose. Reconnecting with our hearts and authentic Self occurs through Self-awareness and Self-care practices. These tools and strategies shed Light on our path and bring new insights and learning. Each deepens our connection to inner wisdom and guidance. Each promotes soul actualization. Healing is a lifelong process of growth, development, and transformation, a journey that is enriched as we invite and encourage Self-compassion, Self-trust, Self-respect, and Self-love with ourselves and companions we meet along the way. Who are you? What do you want and/or need for your life journey? Where are you going and with whom? 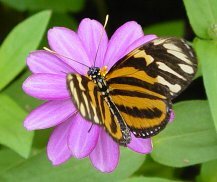 What unique gifts and talents do you possess that can promote peace and healing one minute and/or one person at a time? What specific physical, mental, emotional, and/or spiritual Self-care practices will best serve you this week? When, where, and how will you use them? Witness how it feels to connect with your heart and authentic Self or true nature. What do you notice physically, mentally, emotionally, and/or spiritually during each reconnection? 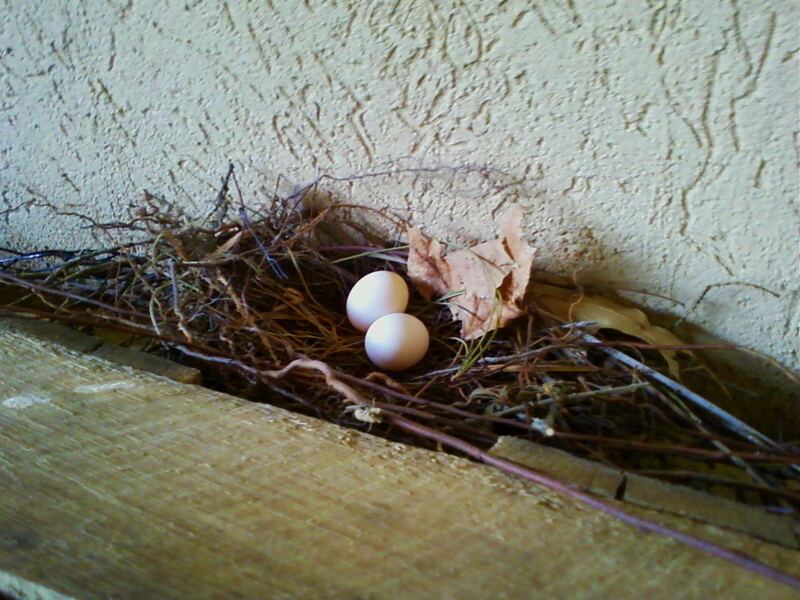 Several years ago I watched in awe as a family of doves created the nest pictured above near our garage. The doves patiently sat upon the eggs, which would soon break open and bring forth new life that spring. I was reminded of this event and the birthing process as Mother’s Day approached this year. Clearing out boxes of photos and memories last month, I unexpectedly came upon a Mother’s Day card I had made for my mother when I was six years old. This precious memory was with other memorabilia I had saved since Mom’s passing in 1992. The drawings I sketched on her card, the love I so freely expressed, and my handwritten note took me back to childhood — a time of innocence and magical beliefs. On Mother’s Day I still miss buying a card for my Mom and my other mother, Aunt Lilly, who is no longer in physical form. They each walked with me, held me in their hearts, and shaped my childhood, adolescence, and adulthood. Today I felt a strong sense of their presence surrounding me, an unbreakable connection that is alive and runs like a thread through time. As I sensed the magnitude of this poignant connection I began to consider what they each birthed in their lives, and what they helped me birth in my own through their presence, modeling, and love. My mother’s example taught me about unconditional love. She continuously demonstrated the joy of giving from a full, strong, clear, and open heart. Her love of family and cooking attracted many to our ever expanding family circle. Mom’s best friend, Aunt Lilly, was the one who recognized and nurtured the real me that was hidden behind defensive walls in childhood. She demonstrated the power in speaking her truth without blame or judgment. Her feisty spirit showed me that this was not only possible, but beneficial to myself and others. Her knitting needles were magic wands, from which she created heartfelt gifts that surrounded others with her love. Aunt Lilly was a character, whose strength, determination, and tough exterior were balanced out by a great sense of humor and deep love for her family and friends. She helped me give birth to the strong, heart-centered woman I am today. There are many other women who continue to act as midwives in my life. They support each new birth and help me manifest the ever-evolving being I am. 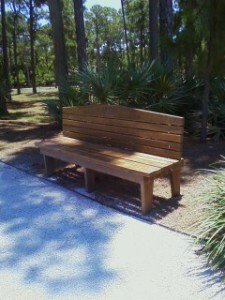 Counselors and therapists help me recognize my strengths and growing edges – places of new growth and development. Bodyworkers engage my whole being with their presence and hands, which serve as reflecting mirrors, revealing and connecting me with body wisdom within. “Giggle friends” continuously remind me to bring joy, play, creativity, and laughter into each day. And soul friends grace my life, as we share beauty, honesty, gratitude, compassion, and love. Who and what are you grateful for this Mother’s Day? Who have been the midwives in your life, and what have you birthed that has affected your life and our world? The Seva Stress Release program helps manage stress and promotes general relaxation, well-being, and Self-healing. In this three-hour workshop you will learn Seva through demonstration and hands-on practice, and take home six valuable and practical Self-care tools: acupressure, meditation, breath practices, mindfulness, journaling, and body-mind movement (Chakra Tai Chi). $60. Location: Holmdel, NJ. Seva Part 1 is a pre-requisite for Part 2. In this three-hour workshop you will learn how to use the Seva Acupressure protocol with others. You will learn through review, demonstration, and practicing the Seva protocol with class participants, seated in chairs and lying fully clothed on massage tables. You will also deepen Self-awareness through meditation and breath practices, Chakra Tai Chi, and use of an Awareness Journal. $60. Location: Holmdel, NJ. March 20th is one of my favorite days. It’s not only the beginning of spring, but it is also my daughter’s birthday. Today she celebrates four decades of being here on Earth, an almost surreal passing of time. Each year on her birthday I am reminded of the sweetness of spring blossoms, the feelings of expanded freedom to be alive, the unfolding of new life all around, and the welcome joy and sunshine in each day. 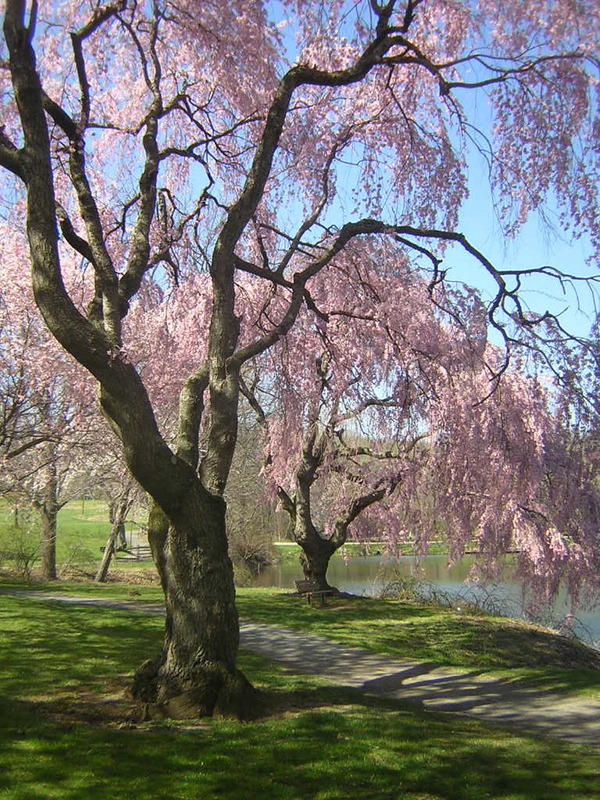 The flowering cherry trees that grow in Holmdel Park, near my home in New Jersey, are harbingers that remind me of the beauty and expansive gifts Mother Nature presents us with each spring. 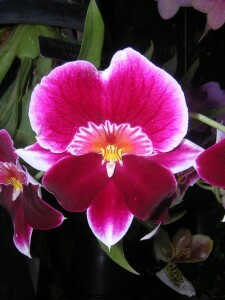 Self-care practices will bring you home, and cultivate increased awareness about new growth pushing forth from within. There are many practices to choose from: meditation, mindfulness, yoga, Qigong, Tai Chi, dance, music, art, pets, gardening, sports, etc. Each will nurture you physically, mentally, emotionally, and spiritually. Become aware of how practices change with each season, especially as spring brings you once again into the warm outdoors. 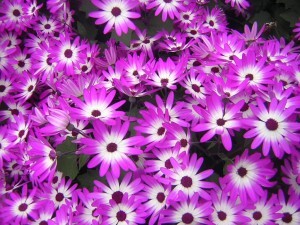 Take time to consider what you will plant and grow in your life garden as spring begins. How will new growth add meaning and purpose to your life? Cultivate your garden with Self-care practices, clear out the weeds, enjoy watching each new blossom burst forth, and witness what grows when your heart becomes the master gardener. It is with great joy that I welcome a new “baby” into the world…a book that has been incubating and developing over the past ten to fifteen years. 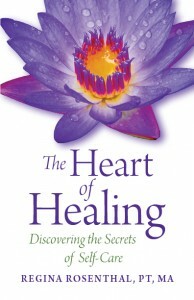 The Heart of Healing: Discovering the Secrets of Self-Care is here and available at Create Space, www.createspace.com/3970183, and at Amazon.com. Throughout life we witness births and new beginnings in our families, our jobs, our relationships, our careers, etc. Can you remember the ones that stand out for you? I still remember watching my father breed and raise canaries when my siblings and I were small. I was filled with awe as each baby canary broke through their shell at birth. Their mother patiently stood by, trusting their ability to do this. I loved being present when my father’s stern exterior softened, as he fed each newborn canary with a small eye dropper, until they could eat on their own. His gentleness revealed the very sensitive heart that existed beneath the surface. Births and new beginnings have a way of opening our hearts and enabling them to blossom. My children, too, had many pets as they grew up…hamsters, gerbils, goldfish, parakeets, the snake my son brought home during summer break from college, and our dog Max. Each pet needed tending and care, as did my father’s canaries. On most days, this occurred without complaints. Looking back I can see how each pet provided companionship and taught us about showing up and being present from our hearts. The greatest lesson our dog Max gave us, over 14 years, was how to give and receive unconditional love. I find it interesting that we often take better care of our pets and cars than we do of ourselves. This has been true during many times in my life, when I was challenged to learn and practically apply Self-care as a way to regain health and balance. It was these experiences with clients that pushed me to write this book about the themes we encounter during healing, and how to maximize well-being through Self-care. 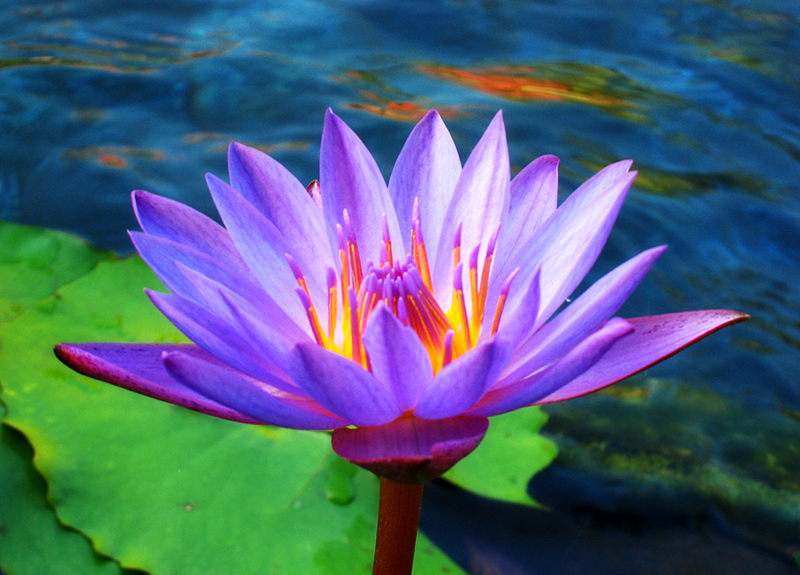 The healing journey is challenging, and often brings us into the dark, muddy waters of life….like the waters in which the lotus grows. Healing tools and strategies help us to become empowered and grow through these times. As we come out the other side of healing journeys, we frequently discover what remains beautiful in ourselves and our life. We, too blossom, like the lotus, as we reach up and out of darkness into the Light. The Heart of Healing will be a valuable resource guide for each reader, one which reminds us of the vast widom that exists in the last place we often look, within ourselves. Many cultures around the world practice giving service from the heart. Giving to another person with no expectation of personal gain (Seva) benefits the giver as well as the receiver. The Seva Stress Release program helps manage stress and promotes general relaxation, well-being, and Self-healing. In this interactive three-hour workshop you will learn Seva through demonstration and hands-on practice, and take home six valuable and practical Self-care tools: acupressure, meditation and breath practices, mindfulness, journaling, and body-mind movement (Chakra Tai Chi). In this dynamic three-hour workshop you will learn how to use the Seva Acupressure protocol with others. You will learn through review, demonstration, and practicing the Seva protocol with other class participants, seated in chairs and lying fully clothed on massage tables. You will also deepen Self-awareness through practicing Chakra Tai Chi, meditation and breath practices, mindfulness, and use of an Awareness Journal.